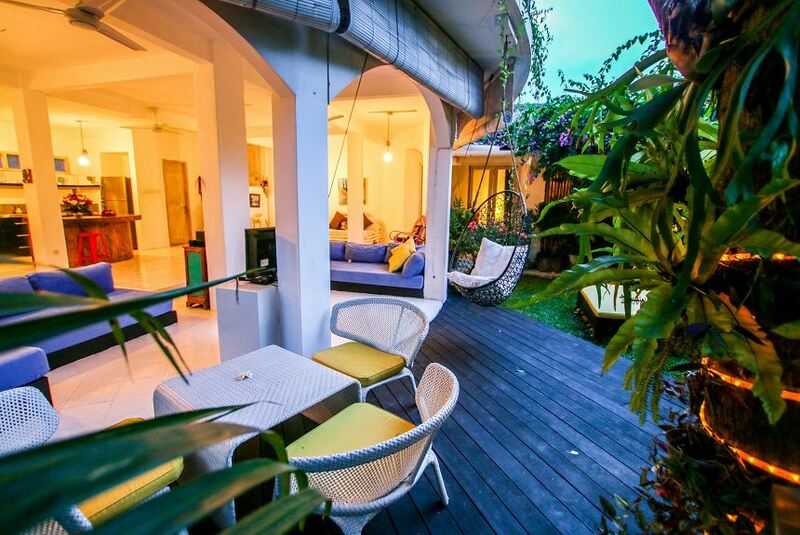 AMAZING and spacious 4 bedrooms, two-storied villa close to the main street and beach, in the heart of Seminyak - the best location you can dream of! Jalan Dhyana Pura - one of THE MAIN STREET in Seminyak with all the best restaurants, bars, fancy nightclubs, designer shops, beautiful beaches and surf spots but still super quiet! Dining area with a big table and chairs for everyone. Large OPEN LIVING ROOM with sofas, big TV, fans and everything you need to relax. 1 air-conditioned bedroom with King size beds and TV inside + ensuite. 1 guest toilet.